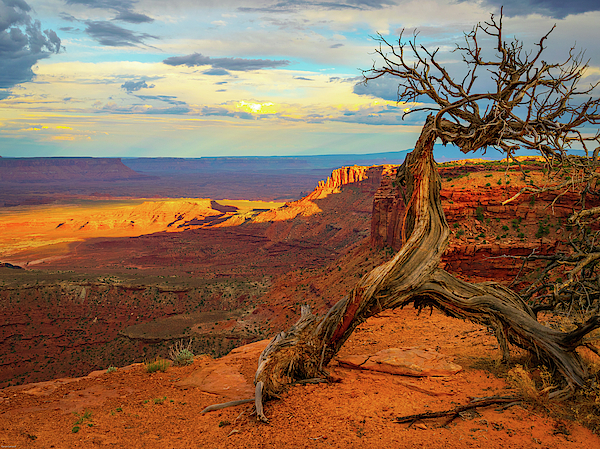 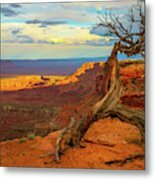 A pinon pine stands at the edge of a cliff in Canyonlands National Park, Utah. 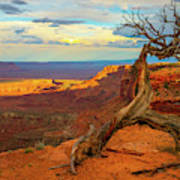 Mixed stands of pinyon pine and Utah juniper cover millions of acres in the southwest. 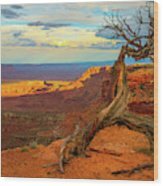 These trees grow closely associated and dominate the landscape in dry, rocky terrain at elevations between 4,500 and 6,500 feet. 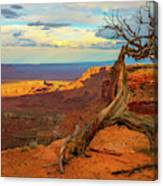 In Canyonlands, pinyon-juniper woodlands thrive on mesa tops like the Island in the Sky and the Orange Cliffs west of the Maze.